If you are looking for the right place to learn Spanish while absorbing the culture, history, and traditions of Ecuador, welcome to Terracentro Spanish School and Cultural Center. We make sure you won´t lose time or money studying endless lists of verb conjugations or learning meaningless phrases; with the support of experienced, professional educators, you will learn the language as a means for travel, business, enjoyment, and understanding the Latin culture. All our teachers are professionals in the fields of, Linguistics, Education and Tourism . all of them have a certification to teach spanish as a foreign language ,they are native speakers and have taught Spanish as a second language for at least 5 years. Teaching requires charisma, personality, patience, strong knowledge of the subject and, most importantly the ability to encourage two-way communication with students. These qualities are the ones that best describe our teachers. We want all our students to feel comfortable conversing with their teachers about many subjects. We have hired teachers with backgrounds or interests in history, art,traveling, economy and politics. 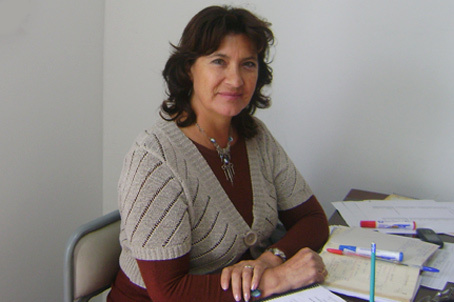 The direction, management , touristic and cultural information is in charge of Sofia the owner and director of the School. With years of studies and experience in the areas of business, education, and tourism, she is the person that is in charge of all the school organization ,teaching schedule and feedback. Her bilingual attention to the students and excellent level of communication with foreigners has given to the school the status of being an Institution with personalized service and education of high level. 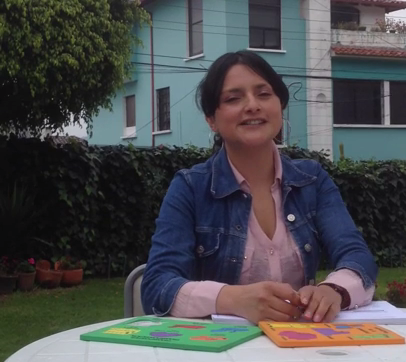 She has more than 10 years working as spanish teacher she has a degree in Tourism and is finishing her second degree in Linguistics in the Central University, she loves teaching enjoy bringing different and creative material to the lessons! 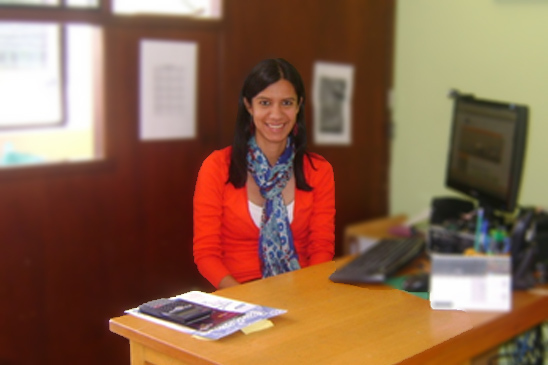 She has more than 5 years of experience teaching Spanish as a second language, she has worked in different spanish Schools in Quito and in other cities in Ecuador, she speaks fluent English, and is very pacient and friendly in her lessons! 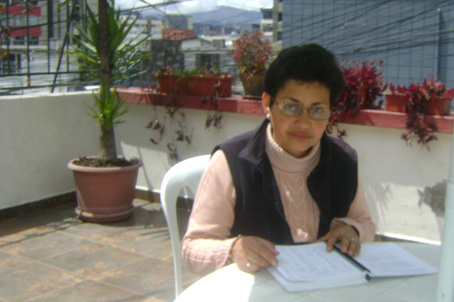 She has 20 years working as Spanish teacher, she had obtained a degree in Ecuadorian history and culture and love teaching about Ecuador history and traditions on its lessons. 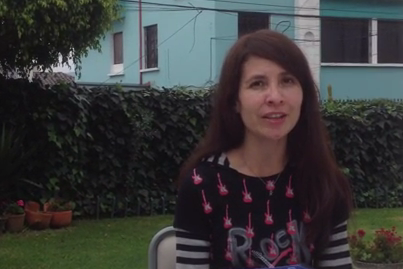 Narda has a degree in Linguistics from the Catholic University, she been a Spanish teacher for eight years. She loves teaching Spanish because she has the opportunity to transmit the language and communicate different aspects about the Ecuadorian culture and get to know about new cultures with her students. Paolo likes to teach Spanish at Terracentro. That is because she knows that her students will not only learn grammar and vocabulary. They will learn to communicate with other people and they will have the opportunity to travel and study in South America and Spain. With the knowledge the students can discover a new world. 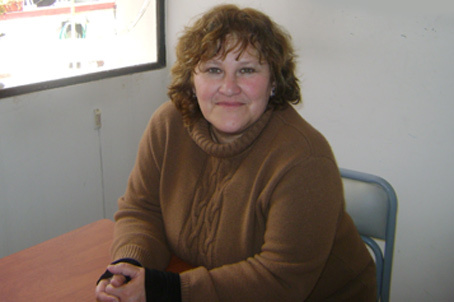 Liliana likes teaching in Terracentro because she can not only teach the language to the students but also show them the ecuadorian culture. So every friday she and her students visit historical and cultural places in Quito.